Alitalia (3rd) (Rome) today issued new strategy with its new partner Etihad Airways (Abu Dhabi). The new strategy will also include a new brand and livery for 2015. The new Alitalia commenced operations on January 1, 2015, following the completion of equity investments by Etihad Airways and Alitalia’s existing shareholders. The new company’s Board meeting yesterday ratified the business strategy, which was outlined today by Luca di Montezemolo, Chairman of Alitalia, Silvano Cassano, Chief Executive Officer of Alitalia, and James Hogan, President and Chief Executive Officer of Etihad Aviation Group and Vice Chairman of Alitalia. 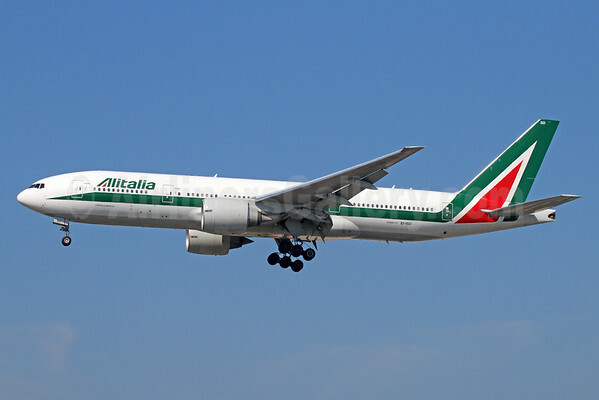 James Hogan said Alitalia’s future will rely on major change throughout the organization. A new three-hub strategy in Italy. Milan Malpensa will increase long-haul services, while Milan Linate will increase connectivity with partner airline hubs. Rome Fiumicino will grow long-haul flying and continue to expand short and medium haul flying to maintain relevance to the Italian market. Schedules across the network will be optimized to allow better connectivity, as well as increased codesharing with existing and new partners. New routes from Rome include Berlin, Dusseldorf, San Francisco, Mexico City, Santiago (Chile), Beijing and Seoul, with increased flights to New York, Chicago, Rio de Janeiro and Abu Dhabi. Alitalia will also add 13 weekly flights from Milan Malpensa, with daily services to Abu Dhabi, four flights a week to Shanghai, and additional flights to Tokyo. There will also be increased connectivity with Etihad Airways’ hub in Abu Dhabi, with daily services from Venice, Milan, Bologna and Catania, as well as additional flights from Rome, all allowing onward connections to the Middle East, Africa, the Indian subcontinent, Southeast Asia, China and Australia. Venice will be the only Italian airport, in addition to Rome Fiumicino and Milan Malpensa, from which Alitalia will operate services to Abu Dhabi with long-haul aircraft. While exploring further opportunities to deepen the relationships with Skyteam members and in particular Air France/KLM and Delta, there will be a major new partnership with Airberlin and Niki, as well as increased connectivity with Etihad Airways. There are also plans to work more deeply with Air Serbia and Etihad Regional. These partnerships will increase customer choice across many markets. Copyright Photo: Michael B. Ing/AirlinersGallery.com. The updated version (in 2006) of the basic 1969 livery will soon be history as Alitalia replaces it with a new Italian theme and look. 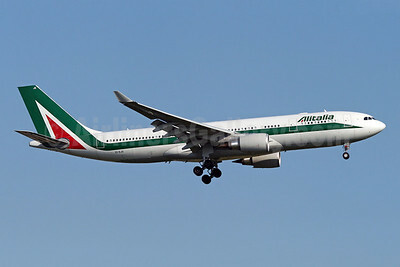 Alitalia is also going to receive new aircraft types for its long-range routes from partner Etihad Airways. Boeing 777-243 ER EI-ISD (msn 32860) arrives in Los Angeles. Video: Join Luca di Montezemolo, Chairman of Alitalia, Silvano Cassano, Chief Executive Officer of Alitalia, and James Hogan, President and Chief Executive Officer of Etihad Aviation Group and Vice Chairman of Alitalia, as they outlining the strategy for a new Alitalia. This entry was posted in Alitalia (3rd), Etihad Airways and tagged 32860, 777, 777-200, 777-243, Abu Dhabi, Airberlin, alitalia, Alitalia (3rd), Boeing, Boeing 777, Boeing 777-200, EI-ISD, Etihad Airways, LAX, Los Angeles, milan malpensa on January 20, 2015 by Bruce Drum. 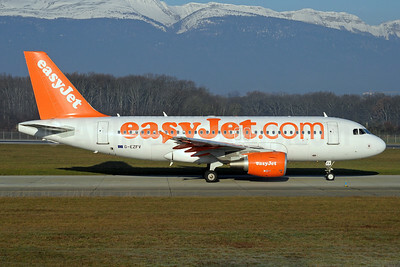 EasyJet (UK) (London-Luton) has announced its plans to connect Milan with Tel Aviv in Israel. The airline, which already flies to Tel Aviv from London Gatwick, Manchester and London Luton, will start to provide services from Milan Malpensa in March 2014 by operating four flights per week. This latest route is now EasyJet’s third since the signing of a historic Open Skies agreement between the EU and Israel. Across Europe the airline also currently serves Tel Aviv from Basel, Geneva, Rome Fiumicino and Berlin. Copyright Photo: Paul Denton/AirlinersGallery.com. Airbus A319-111 G-EZFV (msn 4327) taxies at Geneva. This entry was posted in easyJet (UK) and tagged 4327, A319, A319-100, A319-111, Airbus, Airbus A319, Airbus A319-100, easyJet, easyJet (UK), G-EZFV, Geneva, GVA, milan malpensa, Tel Aviv on December 13, 2013 by Bruce Drum. Alitalia (2nd) (Compagnie Aerea Italiana) (Rome) will restore the Milan (Malpensa)-Miami route for the winter season on October 27 per Airline Route. 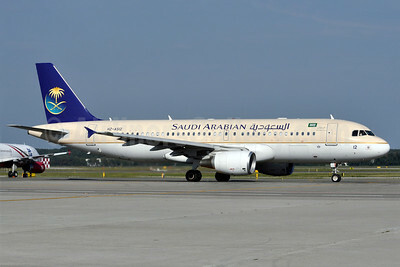 The route will be operated three days per week with Airbus A330-200s. Copyright Photo: Brian McDonough. Airbus A330-202 EI-EJG (msn 1123) approaches JFK International Airport in New York for landing. This entry was posted in Alitalia (2nd) and tagged 1123, A330, A330200, A330202, Airbus, Airbus A330, Airbus A330200, alitalia, Alitalia (2nd), aviation, Compagnie Aerea Italiana, EIEJG, JFK, jfk international airport, milan malpensa, New York, transportation on April 14, 2013 by Bruce Drum. Emirates Airline (Dubai) will launch a direct nonstop service between Milan (Malpensa) and New York (JFK), the airline’s only trans-Atlantic service, from October 1, 2013. 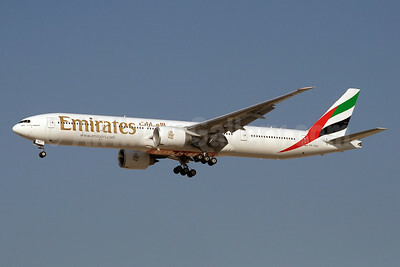 In addition to the existing passenger market between Milan and New York, Emirates has timed its flight schedule to ensure maximum connectivity for other key feeder markets. Customers looking to fly on the airline’s award-winning product will be able to seamlessly connect from points all over the U.S., including the West Coast, taking advantage of Emirates’ partnership with JetBlue, and across Europe, maximizing the airline’s frequent flyer partnership with easyJet. “Operating a trans-Atlantic route has been on our agenda for some time. Having carefully monitored traffic flows we have identified strong demand for both a direct connection and, importantly, for the Emirates product. The route is currently underserved, particularly with a strong premium product offering this is where we see a clear opening for Emirates. We intend to capitalize on this opportunity, stimulating further demand and encouraging additional traffic flow in both directions,” said Tim Clark, President Emirates. Operated by a Boeing 777-300 ER, the flight will be an extension of one of Emirates’ existing three daily, Dubai to Milan flights. The service will originate in Dubai with passengers then able to enjoy a stopover in Milan en-route to New York. On the return flight, passengers will have the option of stopping in Milan before continuing on to Dubai. This one-stop service has proved popular on other Emirates’ routes, giving passengers the opportunity to experience a new destination or to break their journey on longer trips. Copyright Photo: Paul Denton. Boeing 777-31H ER A6-ENA (msn 41082) arrives back at the Dubai base. This entry was posted in Emirates Airline and tagged 41082, 777, 777300, 77731H, A6ENA, Boeing, Boeing 777, Boeing 777300, Dubai, DXB, Emirates Airline, emirates airline dubai, milan malpensa, transportation on April 9, 2013 by Bruce Drum. Air One (Milan-Malpensa) is again planning to expand the new Venice base with three-times-weekly summer season service from VCE to Copenhagen from June 27 through September 8, 2013 with Airbus A320s per Airline Route. 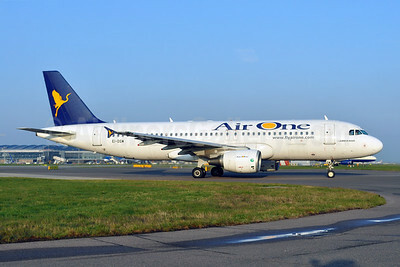 Air One added the Venice base on May 4, 2012 when the first flight took off from Venice to Palermo. Air One is now connecting Venice to 12 destinations: Brindisi, Cagliari, Palermo, Barcelona, Prague, St. Petersburg, Warsaw, Istanbul, Brussels, Athens, Palma de Mallorca and Menorca. The Venice base is Air One’s third base after Milan Malpensa and Pisa. Copyright Photo: Dave Glendinning. Airbus A320-216 EI-DSW (msn 3609) taxies from the gate at London (Heathrow). This entry was posted in Air One and tagged 3609, A320, A320200, A320216, Air One, Airbus, Airbus A320, Airbus A320200, aviation, EIDSW, Heathrow, LHR, London, milan malpensa, transportation on December 9, 2012 by Bruce Drum.